FilmLab is the mobile app for viewing, digitizing, and sharing film negatives. Using FilmLab is easy. All you need is negative film, an iOS or Android smartphone, and a light source. then capture, crop, and edit. Want to learn more? Get started with our tutorial videos. Modern mobile devices have great cameras, but that doesn’t mean it’s easy to use your phone to capture film. If you just snap a JPEG and invert the colors, you’ll most likely end up with a disappointing image. Enter FilmLab! It’s simple to use, but packs some serious technology under the hood. First, FilmLab uses the raw capture capability of modern smartphone cameras to pull in lots of data and accurately measure the original negative colors. Next, it uses cutting-edge image processing algorithms to reduce noise and resolve as much detail as possible. Finally, FilmLab simulates the way color and black-and-white photo paper would react to your negative if you were making prints in a darkroom. The result? 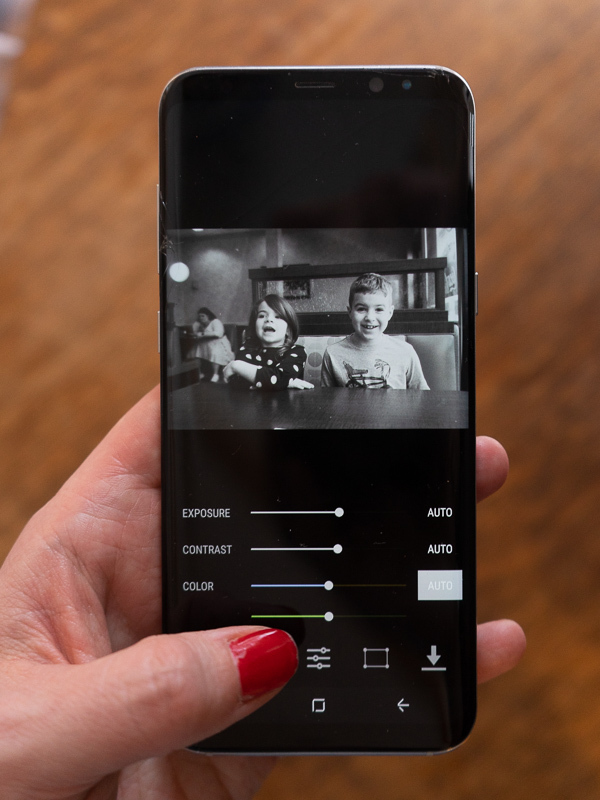 Images that look the way they’re supposed to, with plenty of resolution for sharing online or making typical-sized prints, using only the built-in camera on your phone. The images in this gallery were captured with FilmLab 1.2 running on an iPhone Xs and a Samsung Galaxy S8 Plus. The 35mm and 120 film was backlit by a Kaiser Slimlite Plano light box, and we used a pixl-latr film holder to keep curvy film flat and reduce glare.